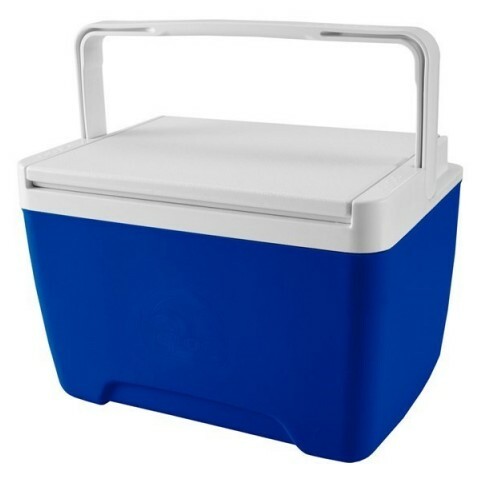 The Island Breeze Cool box is the perfect addition to your camping or caravanning trip. For ease of use, the reverse of the lid forms a tray and cup holder, allowing you to store your food and drinks easily during your outdoor dining experience. Designed for convenience, the cool box has a swing up bail handle to allow for one-handed, comfortable carrying for ease of transportation. The Island Breeze cool box is the perfect addition to your camping or caravanning trip. For ease of use, the reverse of the lid forms a tray and cup holder, allowing you to store your food and drinks easily during your outdoor dining experience. Designed for convenience, the cool box has a swing up bail handle to allow for one-handed, comfortable carrying for ease of transportation. Igloo are world leaders in providing quality, durable, and innovative cooling products to improve your experiences dining in the great outdoors.